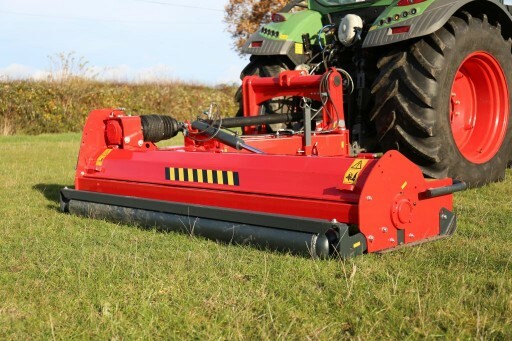 Heavy duty ‘Z’ flail suitable for use on large tractors, the cutting head can be rotated with the angle of cut ranging from 90° up (vertical) to -55° (below horizontal) with the ability to offset the head so that it can either cut inside behind the tractor or outside the tractors wheelings with right hand operation as standard. 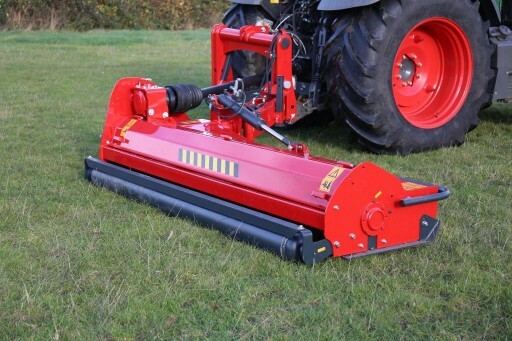 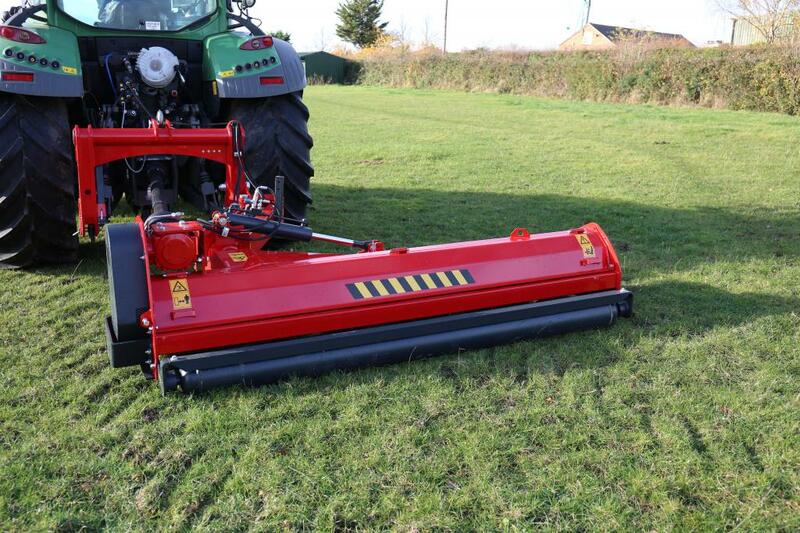 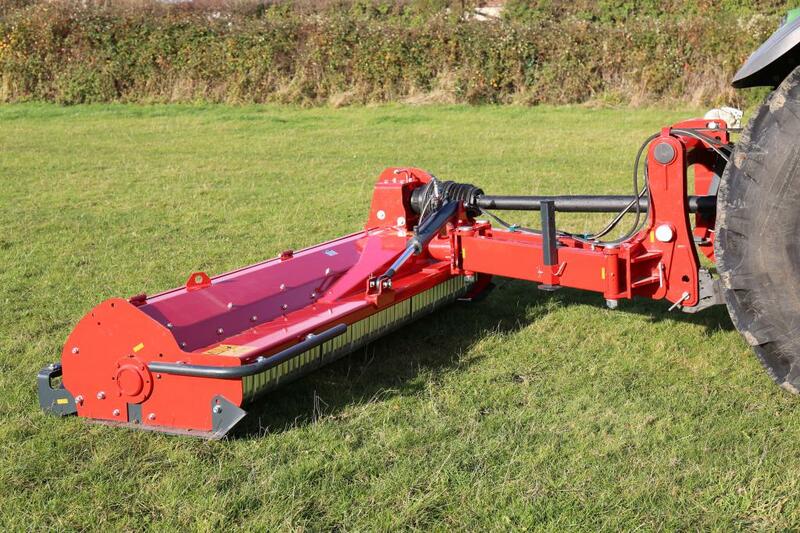 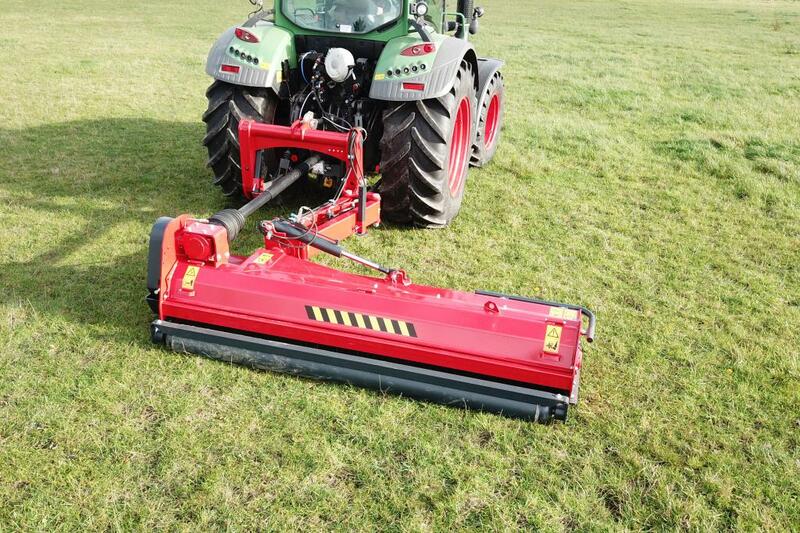 This mower will cut material up to 8cm in diameter, making this a very universal flail. Gearbox with freewheel protection, 220mm diameter rear roller, opening rear inspection hood, reinforced Cat III self levelling hitch, heavy duty bearings, durable spiral rotor, 6 belt drive with automatic belt tensioners, speed control on hydraulic head, stationary cutting knives, auto reset hydraulic break back protection, two double acting hydraulic spool valves required. 2 Years warranty as standard.